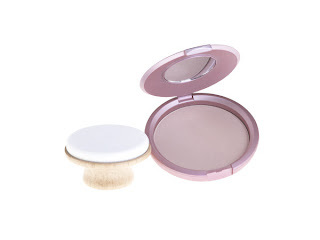 A friend recently told me about a layering dilemma involving her blush, foundation and powder. She applied a liquid foundation and topped it off with some powder to set the makeup. She then excitedly applied a gorgeous blush cream stick only to find that the consistency of the stick made her existing makeup look streaky and blotchy. This example brings up a good point. The consistency of your makeup must either be the same or must be applied in the correct order. If you use a liquid foundation as a base, you can add a powder on top of that but then you can really only add a powder blush. A cream or stick of any kind will streak your makeup. If you're intent on using a cream blush and powder one option is putting the cream blush on first then adding the liquid foundation and powder over it. It'll give a beautiful lit-from-within kinda look. Another option is starting with your foundation and then mixing a cream or liquid blush/highlighter with your foundation and adding that to your cheeks. You can finish the look off by adding a dusting of powder to set your makeup. So avoid streaky makeup by getting your consistencies right! Enjoy friends and happy new year!